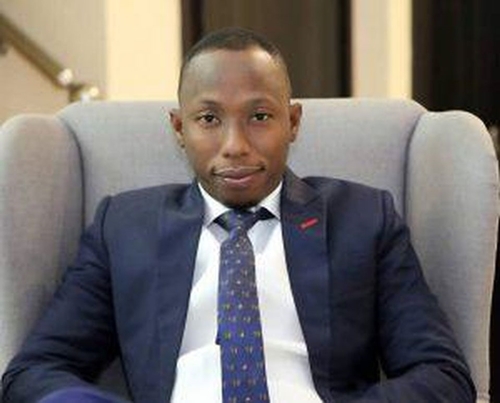 Forbes magazine has interviewed a young Nigerian entrepreneur who has successfully built a digital education technology company that is currently worth $3million. His story will motivate and inspire you. 33-year-old Nigerian-born Temitope Ogunsemo, is the founder of Krystal Digital, a fast-growing educational technology company that specializes in the creation, development and deployment of customized and service oriented software applications for educational institutions in Nigeria. Founded in 2010 in Lagos, Krystal Digital’s flagship service, MySkool Portal, a web-based application for School Information Management System designed for proper storage and documentation of school data, has been adopted by more than 50 Government-owned High schools in Nigeria, and has more than 65,000 active student users. Krystal Digital now has more than 150 employees and annual revenues of more than $3 million. While speaking in an exclusive interview with Forbes in Lagos, Temitope recounted his early beginnings, mused on the journey so far, and talked about Krystal Digital’s plans for the future. I am an alumnus of Kings College, Lagos. I attended the prestigious University of Ibadan and also went ahead to obtain a Master of Science degree in Information Management Systems from the University of Salford, UK. In 2010, I answered my lifelong call of entrepreneurship when I and a group of consultants founded Krystal Digital. Today, Krystal Digital is one of the leading IT Companies in Nigeria. What is Krystal Digital? What would be an elevator pitch for someone who does not know about your company and your services? Krystal Digital is a fast growing ICT company which specializes in the development and deployment of customized and service oriented software applications as well as IT training. The Company is focused on strengthening the application of ICT in the Education sector, especially the Basic and Secondary Education Sub-sector. Krystal Digital is popular for its MySkool Portal, your flagship School Information Management System for secondary schools in Nigeria. What was the opportunity? The idea that would spawn Krystal Digital was initiated when I attempted to secure my academic transcript. It was a difficult and frustrating experience. It was then I saw potential to develop a School Information Management System that would not only improve the storage/preservation and retrieval of academic records but would also position these schools to harness the benefits of digitization. How many schools in Nigeria today are utilizing your MySkool portal? 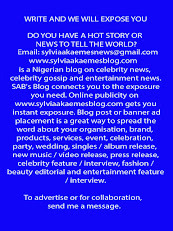 Give us a profile of your clients? Our products and services currently span across 48% of the Federal Government Colleges in Nigeria. The MySkool Portal Platform runs in fifty Federal Government Colleges across the federation. Most of the Directors at Krystal Digital are products of Unity colleges and we were availed high-quality education and orientation. This played an important role in grooming us into what we are today. Unfortunately, some of these virtues are fast disappearing and it became imperative for us to ensure that technology became an intrinsic part in the education management system in Federal Unity colleges. This is probably one of the reasons why our focus at the moment is on Federal Government Colleges. Walk us through Krystal Digital’s business model. How do you make money to keep the lights on, and where do revenues stand today? Our aspiration is to drive growth in the Education sector by building a leading sub-Saharan IT organization. In delivering quality services we have modeled the structure of our business to ensure it is aligned with the needs of our clients and how they would rather be served. Our business model has three inputs: Our people, Our operations and Innovation. Our intellectual capital is critical to provide innovative solutions. We rely on the ability of our people to innovate and collaborate with each other and our customers to develop value-adding solutions. We are also committed to conducting our business transparently and ethically by managing our business process towards ensuring a positive impact on the society. The organization no longer relies on the Myskool Portal solution as its main source of revenue as Krystal seeks to augment its financial structure by championing the Krystal/Microsoft Imagine Academy. Notwithstanding we have achieved strong revenue growth in what continues to be a complex business environment. We have annual revenues of more than one billion naira - roughly three million dollars.